A tone monster with all tube preamp and power sections, spring Reverb and active Presence. 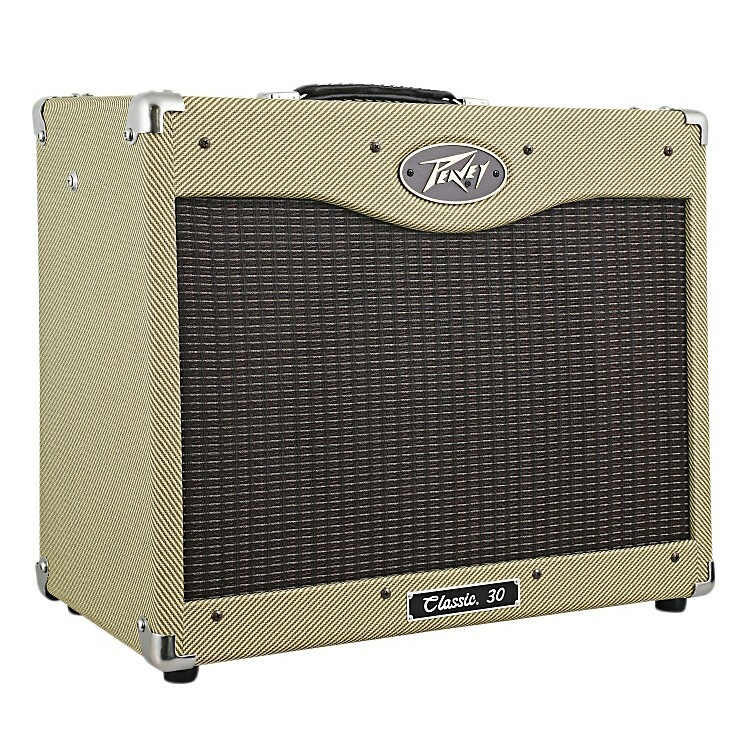 Revered by blues, country and rock players alike, the Peavey Classic 30 112 30W 1x12 Tube Combo Amp spans the tonal landscape from vintage to contemporary with ease. These amps are drenched in the tone that can only come from the combination of three 12AX7 and four EL84 tubes. Add features like 3-band EQ, footswitchable dual channels, active Presence control and reverb and you have one of the most versatile amplifiers on the market. Classic looks, classic tone, Classic 30. Get all the tone you need from one portable, all-tube rig. Order today.